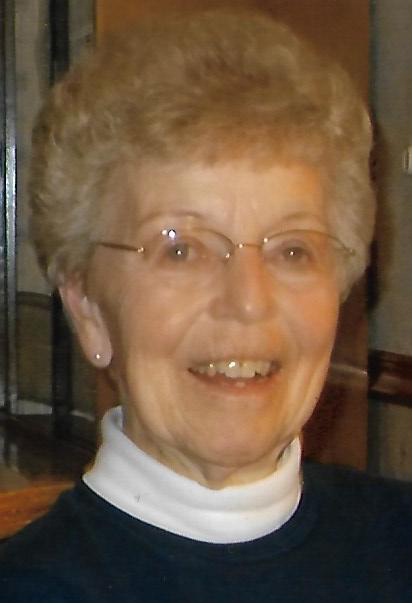 Sharon Willard, 78, of Marshalltown, Iowa, passed away peacefully on the morning of Wednesday, March 6, 2019, at Grandview Heights Rehab and Healthcare. Funeral services for Sharon will be held at 10:30 a.m. on Monday, March 11, 2019, at Mitchell Family Funeral Home with Pastor Terry Collins officiating. Public visitation will be from 5:00 – 7:00 p.m. on Sunday, March 10, 2019, at Mitchell Family Funeral Home where Sharon’s family will be present to greet friends. Memorial contributions may be directed in Sharon’s name to her family which will be later designated elsewhere. For further information or to send a condolence please visit www.mitchellfh.com or call (641) 844-1234. Mitchell Family Funeral Home is caring for Sharon and her family. Sharon Rose Wyckoff was born on December 13, 1940, in Des Moines, Iowa, the daughter of Paul E. and Eileen (Glade) Wyckoff. She was educated in the Gilman School district, where she graduated from Gilman High School with the class of 1958. On August 22, 1958, Sharon was united in marriage to the love of her life, Neil Willard at the Gilman Community Church. From this union two children were born: Teresa and Tina. Sharon was not afraid of hard work. She dedicated her working life to the Grinnell Telephone Company, Grinnell Mutual Insurance and for 25 years she was a dedicated secretory for the SEMCO principle and school system. Sharon was a proud member of the American Legion Auxiliary, New Hope Church, Green Grove Club and also the Flying Club. She had a passion for: golfing, bowling, mushroom hunting, fishing, boating, traveling with friends, flying with her husband and spending time with her grandchildren. Left to cherish her memory are her two daughters: Teresa (Mike) Jenkins and Tina (Duane) Mann; grandchildren: Kelsey (Adam) Gribbins, Casey Jenkins, Derek Mann, Devan Mann and Decker Mann; siblings: Linda Chartier, Jayne (Paul) Wells, Pauline Kozak, Debbie (Dewey) Edeker and Becky (Bruce) Keeney as well as one step-brother: Larry Hamm. She is preceded in death by her husband, Neil; parents, Paul and Eileen Wyckoff and also her step-father, John Hamm.